We aim to satisfy our customers with a quality proven range of Modern Acrylic Bathtub. By making use of high grade ceramic and acrylics, we are manufacturing a high quality range of bathtub for our customers. Comfortable in bathing, it has smooth edges which allow user to put their head for rest while taking bath. We use premium packaging material so as to make consignments safer. We, Paradise India Bath Trends commence its business in the year 1999 as a Sole Proprietorship based firm and located the operational head in Tamil Nadu, India. 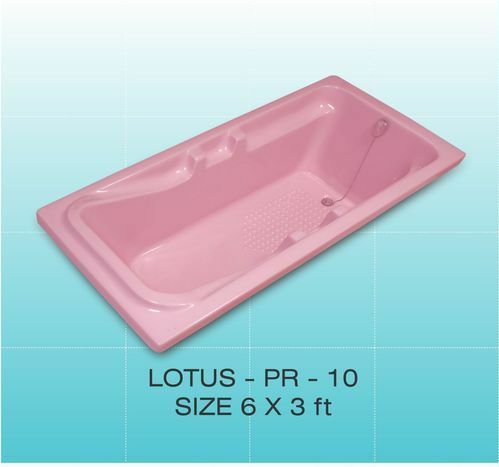 We are affianced in manufacturing and supplying wide range of Round Bathtub, Corner Bathtub, Rectangular Bathtub, Shower Tray, Panelled Bathtub and Acrylic Bathtub. The offered ranges of products are highly applauded by our valuable experts due to the special attributes that includes excellent designs, reduces fatigue, fine finish, easy to clean, trouble-free installation, spacious, light weight, good quality and many more. The products are manufactured by our team of experts using latest technologies and methodologies in order to have quality products in the industry. To have smooth flow of business operation, the machineries are updated from time to time. Our team of professionals is recruited on the basis of their knowledge and expertise in their domain. Our infrastructure facility is being managed by our specialized experts in a best possible manner. The material which we use in manufacturing the range is being sourced from the reputed vendors of the market.